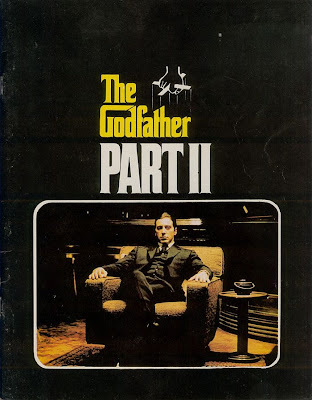 Very rarely does a sequel manage to hold a candle to the original; The Godfather Part II didn’t just equal The Godfather, which remains a cornerstone in American cinema, number of cineastes, including yours truly, have opined that it even managed to go one step ahead. 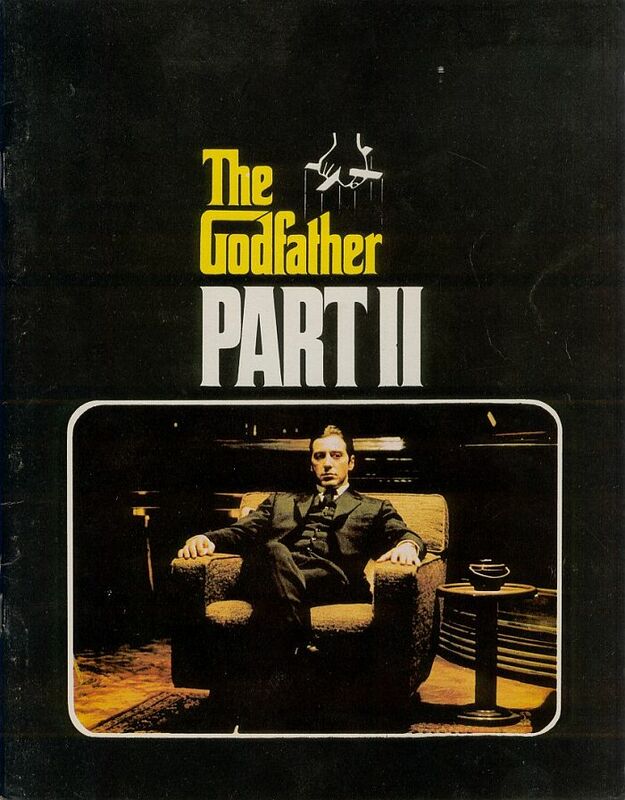 Francis Ford Coppola’s follow-up to his legendary adaptation of Mario Puzo’s tale of family and honour was both a prequel and continuation of the original. The film has two threads running in parallel – aptly placed flashback sequences chronicle the escape of Vito Corleone (Robert De Niro) from Sicily as a child and his subsequent rise in power in a working-class New York neighbourhood; the ‘present’ on the other hand shows the continuation of familial legacy and making of inroads into Las Vegas and Havana by Michael Corleone (Al Pacino). While the original had limited its scope to the Corleone family, the sequel expanded it to far beyond such confines as it juxtaposed the Corleone saga (that too in two distinctly different timeframes) with that of modern American history. Yet, for all its breathtaking scope, the film also managed to be a fascinating human story – Vito’s chance introduction to the world of guns and his smart rise while retaining his sanity, on one hand, and Michael’s all-encompassing power and his absolute ruthlessness, on the other. Incredibly photographed, elegiacally paced, and hauntingly scored, the film’s grand vision and its melancholic tone are worth beholding. Al Pacino was absolutely devastating as Michael, while Robert De Niro was no less arresting as the young Vito. The supporting cast was also superb, especially Lee Strasberg as Michael’s double-edged ally, and John Cazale as Fredo, his tragic brother, whose murder provides the final death knell to any chances for his redemption. There are times when one is tempted to have both these movies as one, since the story arc flows seamlessly, and Coppola has kept so many artistic elements in place. But I can't argue with you at all in sizing them up, as I too feel Part II edges out THE GODFATHER. As you note it yields a number of fascinating story threads and scope, and the human intimacy is as profound as it's ever been in any American film. The Sicilian section with the young Don Corleone and the evil Fanucci is absolutely extraordinary, and remarkably lit (as was he first film) by Gordon Willis. Brilliant capsule as always Shubhajit! Thanks a lot Sam. Yes, not only is it difficult to compare & rate the too films, I guess it would also be unfair to do so, given that they both are undoubted masterpieces. I read somewhere that one of Coppola's conditions for directing Part II was to allow him to release the 2 movies later as a single film; in fact, if I'm not wrong, they've been actually screened/televised as a single film. So in that sense they essentially represent a single whole rather than parts. I love The Godfather Part II. I like it even better than The Godfather and I know it's an endless debate. But, kind of in the way that The Empire Strikes Back brought a greater scope to the whole Star Wars saga, The Godfather Part II makes the Corleone family's story so much more tragic and moving. Great Stuff. Shubhajit, I'm another who prefers Part II to the indisputably great original. The sequel really turns Mario Puzo's pulp fiction into a Great American Novel on film for the twentieth century. You are correct, by the way, in recalling that the two films were edited together in chronological order and broadcast as "The Godfather Saga: A Novel for Television" or something to that effect. But I prefer the way Part II serves as two wings of a triptych framing the original. Thanks Jonny. Godfather v/s Godfather II is indeed an endless debate, and an enriching one too. Yes, Part II's scope is certainly broader (and perhaps more profound too) vis-a-vis the original. On the other hand, it lacks the number of unforgettable moments/sequences that the original boasts of. However, that said, the scene which leads to Fredo being killed is among the most heart-rending movie moments. It would be interesting to watch the chronologically edited version. But yes, like you I too prefer the way Part II has been made, i.e. with two parallel arcs. In fact, I felt that one of the many reasons for the movie's effectiveness lied in beginning and ending each flashback sequence at exactly the right moment in Micheal's story. By the way, it seems Part II has more support than I'd expected :) Thanks a lot Samuel. The two films had a completeness of storytelling and characterizations rarely matched in the art of cinema. And the balance of intense family relations and grim business of crime is something extraordinary. But I too feel that The Godfather II edges over The Godfather. The II part moves both forward and backward from the events in The Godfather. It attempts to resolve our feeling about Vito's family. Couldn't agree more with Shubhajit, Al Pacino was superb as Michael. Thanks a lot Bhim. Indeed, the character developments were superb. The character arc of Michael from one of an idealistic outsider (in Part I) to that of family patriarch and finally a cold-blooded monster (end of Part II), was quite extraordinary - it was believable, and that made his character far more frightening, and in some ways even heart-breaking, than it would have been otherwise. I'm not a huge fan of gangster films, the godfathers are very well made,but the ruthless mentality I often have a hard time identifying with. However, the ending of godfather 2 sure was powerful to do with Fredo, and will always stay with me. I am no expert on gangster films, I'd rate godfather 1 and 2 among the best of that particular genre. Interestingly, I love gangster films. They good ones managed to show that humans are animals after all, while at the same time reiterating the fact that they are the most shrewd, cunning & intelligent of all animals. And yeah, I agree with you that both these films would rank among the best in this genre. I see what you mean about behaviour in the godfather films and respect your opinion, my problem with a lot of gangster films is they tend to make the same psychological points/messages that gangsters are cold-hearted, selfish, and will kill to protect their own interests. Not saying I hate the godfathers, they are good, just don't love them as much as many cinephiles do. Ever seen Ghost Dog or The Sting?, they are gangster films I do love, I admire them mostly for the witty dialogue+atmosphere. The Godfather is one of the great novels of the twentieth century and constitutes the defining story of organized crime in America. Oh, other novels have and will be written on this subject, some of them very good indeed. But The Godfather stands alone, far above all others of the genre. This is a classic and great novel. Seven stars at least. This is the story of Don Vito Corleone, whose Sicilian father (family name of Andolini) is murdered by the local Mafia Don in Corleone, Sicily. Relatives spirit young Vito away to America, for otherwise he too will be murdered to prevent the otherwise certain day when he will come for revenge. Vito comes to America and builds an empire of organized crime. I have read the novel by Mario Puzo, and must say I'd really liked it. I wouldn't go so far as to call it one of the greatest books of the 20th century, but yes, it did manage to stand out for its excellent depiction and characterization of organized crime in America, as you aptly mentioned. Thanks for stopping by.